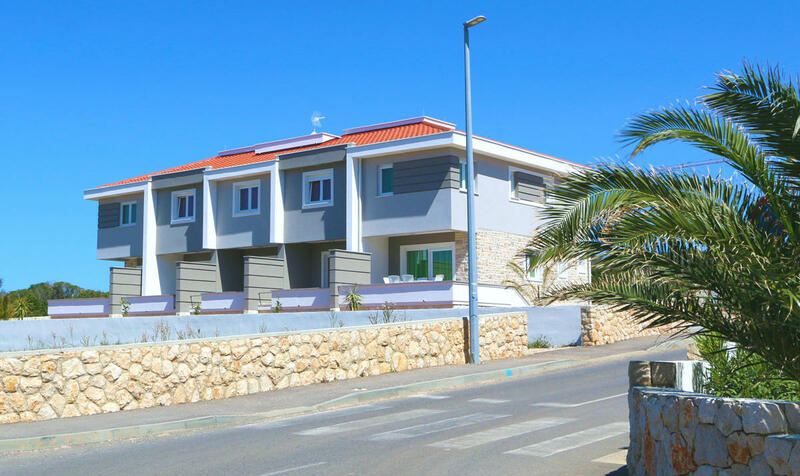 In a quiet part of Novalja, in an attractive location near the sandy beach "Babe", we offer you accommodation in 5 newly built apartments in a row. All apartments are on 2 levels, with a beautiful view of the sea, modern furnished and equipped with air conditioning, TV / satellite, Internet (WIFI) and parking. Be our guests and spend a pleasant holiday in Novalja. N +44° 33' 56" | E +14° 52' 21"